There are many diseases and disorders known around the world, some with very serious effects. Here are just a few of some rare conditions with bizarre and unsual symptoms. Pica is a rare eating disorder in which people eat nonnutritive substances persistently for at least one month at an age when such behavior is developmentally inappropriate (<18-24 size="2">(Ellis). This is usually observed in children, but most common in people with developmental disabilities. Types of things that people with Pica eat include, but are not limited to, dirt, glass, sand, wire, hair, feces, lead, plastic, ice, paper, paint chips, chalk, wood, c oal, string, and needles (Ellis). Depending on what the person eats and how much of it, this could be a benign or life threatening disease. Lead, for example, could lead to lead poisoning. In some cultures, such as ones in Kenya, southern Africa, and India, this is a practiced activity and not considered to be a problem (Ellis). The cause of this disorder is unknown, but scientists speculate that it could be caused by nutritional deficiencies, low socioeconomical status, learned behaviors, underlying biochemical disorders, or stress. Some other risk factors for the disease include pregnancy, parent/child psychopathology, epilepsy, brain damage, mental retardation, and developmental disorders. There is no specific treatment for this condition, but rather a combination of psychiatrists, physicians, and social workers that work with the patient (Ellis). This is a rare disorder in which one’s hand feels possessed by a force outside of one’s control (Definition of Alien Hand Syndrome). The sufferers are able to feel sensation in that hand, but they believe it is not a part of their body and that they don’t have control over it. An example of this is when a patient doesn’t know that his/her own hand is doing something, such as pulling on their hair. This disorder usually arises after trauma to the brain, after brain surgery, stroke, or an infection in the brain (Definition of Alien Hand Syndrome). There is no treatment for this disorder except to keep the unruly hand busy by holding an object. 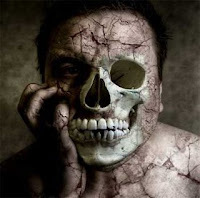 Cotard’s syndrome, which is also known as Walking Corpse syndro me, is a rare neuropsychiatric disorder in which a person believes that he/she is dead, does not exist, is putrefying, or has lost blood or internal organs (Pearn & Gardner-Thorpe). Sometimes, although rarely, this disorder includes delusions of immortality. Cotard’s syndrome usually arises in patients with neurological or mental illnesses, such as schizophrenia or bipolar disorder, and is often associated with depression. Some scientists believe this disorder is related to Capgras syndrome (Cotard Delusion). To find information about Capgras syndrome, you can visit http://www.psychnet-uk.com/dsm_iv/capgras_syndrome.htm. Both Cotard’s and Capgras are thought to be a consequence of a disconnection between the brain areas that recognize faces and the areas t hat associate emotions with that recognition. Treatment for Cotard’s syndrome is difficult and scientists and physicians are still working on treatments. Some antidepressant drugs have been tested but show little effectiveness. Electroconvulsive therapy, on the other hand, has shown better odds of success (Cotard Delusion). Foreign Accent syndrome is the “sudden and unexpected appearance of a seemingly ‘foreign’ accent” (Garst & Katz). This disorder usually occurs as a rare side effect of stroke or a traumatic brain injury. Although this is the most common way to acquire the condition, it may also be of unknown etiology. This disorder is not a result of psychiatric or psychological problems, though. Researchers have found that certain parts of the brain are affected in foreign accent syndrome, such as parts associated with pitch and syllables. Normally, the injury occurs to the left hemisphere of the brain; however, infrequently it occurs to the right hemisphere, which plays a role in the stress and inflection of speech (Garst & Katz). Some cases of Foreign Accent syndrome may evolve over time, but most do not. Even a few cases resolved themselves within a couple of months with no therapeutic intervention. This condition is difficult to test for and requires a number of different testing techniques to correctly diagnose. This may not be a fatal disorder, but sufferers need to get use to their new “accent” and may use speech therapy to help them speak better. Pearn J, Gardner-Thorpe C. “Jules Cotard (1840-1889): his life and the unique syndrome which bears his name.” Neurology. 2002 May 14;58(9):1400-3. Your photo for aquagenic pruritus is wrong. Aquagenic pruritus appears with no redness or rash, which is why many sufferers have been told that it's all in their head. You may enjoy catching our eye with a partly-naked woman, but she does NOT have aquagenic pruritus. The most common location of the itching is the lower legs, and it's much less common on the trunk. If you think you may have aquagenic pruritus and would like to join a listserve of fellow sufferers, write to aquagenicskin-subscribe@yahoogroups.com. I am a doctor in New Brunswick. I have a patient with Cotard delusion in hospital right now, possibly related to an underlying dementia. Several months ago she showed signs of deteriorating memory. Last week she became disoriented, didn't recognize familiar objects as her own ("these are not my shoes, my favorite blanket etc. "), then became apathetic, not dressing, not getting out of bed "because I am dead", refusing even to eat "why should I eat? I'm dead". Also not recognizing her daughter, denying that "that lady" is her daughter. She then started to ignore people, just not answering or reacting to them. The first day of hospital admission she received a dose of Haldol 5 mg, her first med, because she was standing in a public doorway demanding release. After which she became sedated and cooperated a bit and letting herself be led back to her room. About 5 hours later, she went into a pseudocoma, not moving, opening her eyes or responding even to moderate pain (I didn't inflict severe pain). This lasted 1 1/2 days and I had to start i.v. fluids. Also multiple tests, CT etc, are negative. MRI, EEG, L.P. yet to do (she was on warfarin). Neurology and psychiatry consults were done.Yesterday she awoke from her "coma" and seemed a lot more with it, recognizing some family members, responding to questions, eating, walking, and behaving like a normal, alert, albeit slightly disoriented woman. Today I surfed the net for "delusions of being dead" and found Cotard Syndrome. What an interesting case! Get more info about this best acne treatments in delhi by visiting our Skin Plus Clinic. Skyscraper Structural Support: What holds 'em up? Does the Swimsuit Make the Man? Should the Woolly Mammoth live in today’s world? Why Michael Eisner owns your soul!!! Frequencies of "Pomp and Circumstance"
Lactic Acid: Friend or Foe? Treatments for HIV: why do we use cocktail drugs? Give Blood, Play...Rugby or American Football?